If you are looking for new ways to reach your target audience and start generating more sales, then have you thought about starting a blog? There are so many different marketing tools available right now but which ones should you be investing time and effort into? In 2017, 53% of marketers said that blog content creation was their top inbound marketing priority. So there are a lot of people out there that are seeing great results through the creation of blogs and intend to keep blogging for the foreseeable future. You do not have to pay to set up a blog or a website to run your blog from because there are so many free blogging platforms available right now. Most of the major websites offer a free service, including WordPress so you could get a blog up and running without paying a penny. Whilst free blogging services are great for many people, if you are looking to generate business through your blog you may want to look at some of the premium blog hosting options but you can still get this for a relatively low amount. Every blog post is counted by the search engines as an indexed page and the more indexed pages you have, as a rule, the better your website will perform in the rankings. Of course, there are many other factors that play a part in this, so you cannot simply post blog after blog and hope that you will get to that top spot in the Google results. 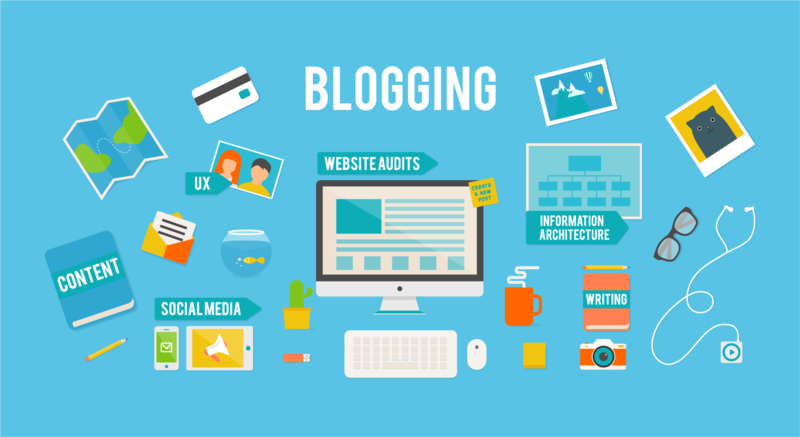 But having a regular, high-quality blog will certainly help your website to increase its domain authority by attracting quality backlinks, so it will perform better organically. Doing quick domain authority check of your or competitor’s website is a great help. In order for potential customers to find you, you must help them to find you by creating content that is useful and relevant to them. The best kind of blogs will help your target audience to solve problems and help them in some form. Offering expert advice is a guaranteed way to reach out to people looking for the type of services that you can provide. So for example, if you have a plumbing business, your blog could help people to solve common issues like a leaking tap, or some other kind of issue. The people who are trying to fix a leaking tap will search for relevant information and your blog will be there in the results for them to use. If they are still struggling with the problem, they may decide it is easier to call the experts in and your contact details will be standing out for them at the top of your blog page. That leads nicely to the other great benefits of creating a blog to help to solve a problem. If the blog reader manages to fix the issue themselves, they will follow your blogs or will remember you when they next have an issue. When you add value, people see you as a trusted source and there is a big likelihood that they will come to you with future business. So in this example, whilst writing a blog about fixing a leaking tap might not gain instant business, over the long-term you will build up larger numbers of followers and become a source of increasing authority. You can also write about niche specific topics like this site about scooters and hoverboards that might not become huge sites but could build loyal followings. Start generating some ideas and then decide on a focus point. Looking at blogging from a different perspective, rather than looking to attract customers for your business, you can make blogging your business. Or in other words, you can make money by creating blogs that are well followed. So many people have become successful bloggers or even vloggers and it is a great money making opportunity if you can find the right formula for success. Bloggers at the top of their game are making a 7 figure annual salary! You make money from ads that people pay to display on your website and the more followers you can attract, the more money you can make. These are just five reasons to start a blog but there are many more benefits to creating and publishing high-quality blogs. In 2018 blogging will feature highly as a content marketing strategy, so our advice to you would be to look at the different blogging platforms that are available and see how easy they are to set up.